Last weekend, I had the opportunity to travel back in time as I visited one of the oldest football stadiums in the National Football League. Lambeau Field, located in Green Bay, Wisconsin, has been home to the Green Bay Packers since 1957. 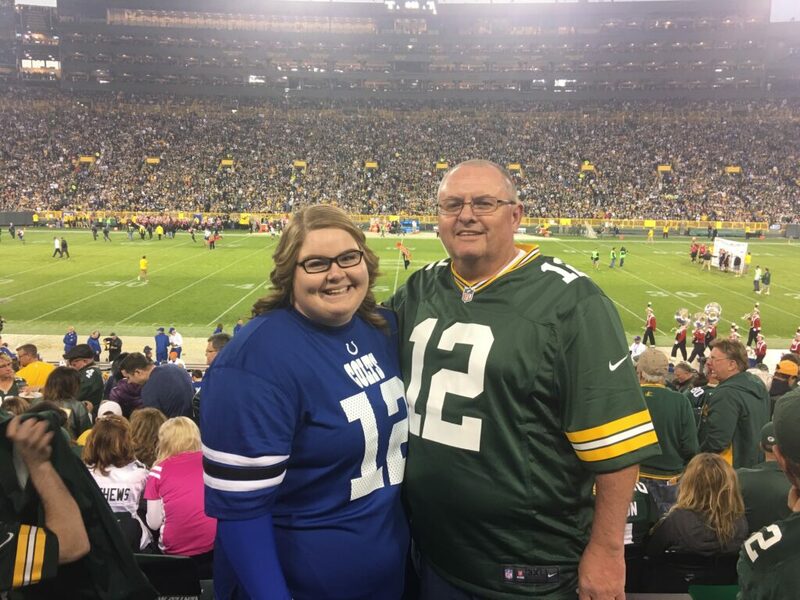 Cydnee Green and Gregg Green at Lambeau Field as the Green Bay Packers hosted the Indianapolis Colts on Nov. 6, 2016. Prior to opening, the stadium was named “New City Stadium” for its first eight seasons. 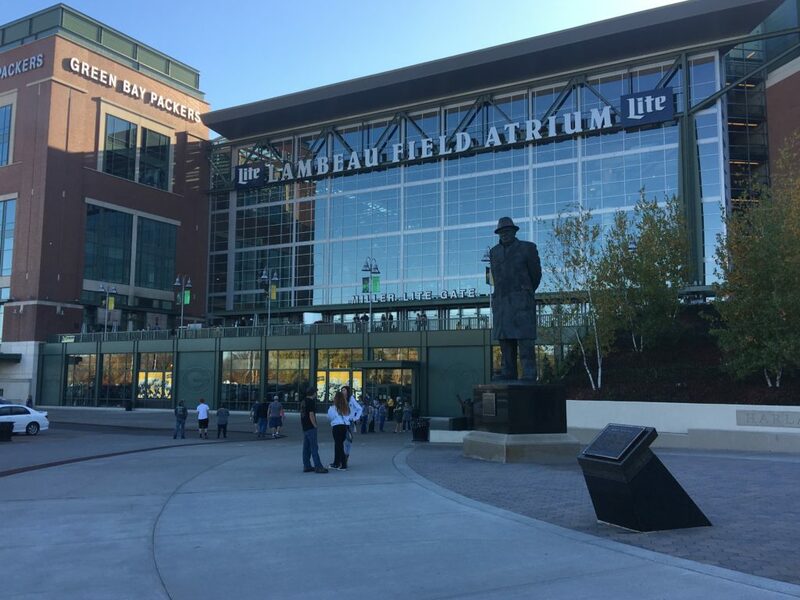 It was renamed after Green Bay Packers’ founder Curly Lambeau’s passing in 1965. After the last renovation in 2013, Lambeau Field became the third largest NFL Stadium, with a capacity of 81,435, not including standing room. 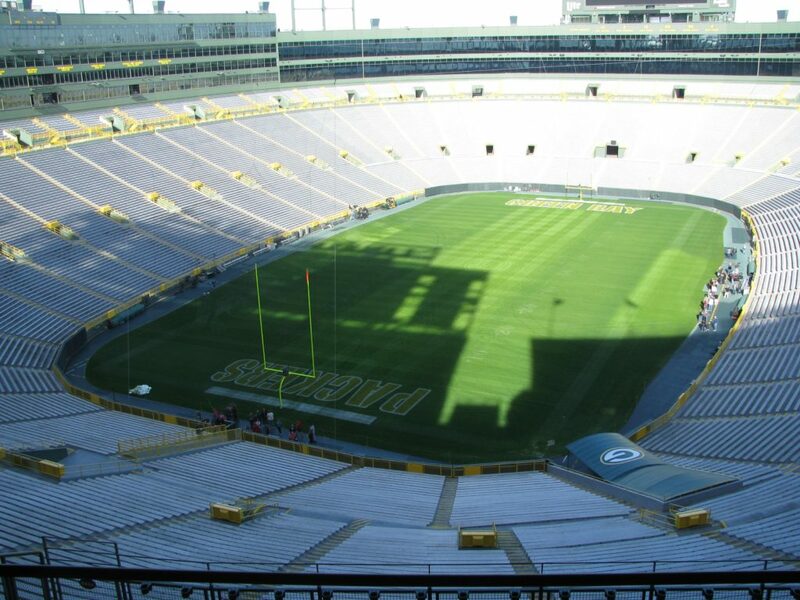 Lambeau Field is the oldest operating National Football League stadium. During our visit in Wisconsin, my dad and I had the opportunity to take a tour through the stadium, which included visits to the champions suites, the locker rooms, the game-day tunnel and the frozen tundra itself. Lambeau Field is located on 1265 Lombardi Ave, in Green Bay, Wisconsin. After the tour, we had the opportunity to walk through the Atrium, a $140.5 million renovation that paved a new entrance into the stadium and is free to the public except for the two hours prior to home games. In the Atrium, the floor is painted in a replication of the field and is aligned perfectly with the turf lines so that everyone has an opportunity to say they have set foot on the field. The Hall of Fame, located on the main floor of the Atrium, is a two-level, 15,000-square-foot tribute to the greatest stories in Green Bay Packers history. We were able to take a seat in a replica of Vince Lombardi’s office, visit a room with a lowered temperature to duplicate the weather from the Ice Bowl, reminisce on the Packers SuperBowl XLV win in 2011 and stare in silence as we locked our eyes on the four Lombardi trophies that are suspended in the air in the Champions Club. We then visited the 21,500-square-foot Green Bay Packers NFL Pro Shop and stocked up on memorabilia and keepsakes. The Lambeau Field Atrium was added in 2013. 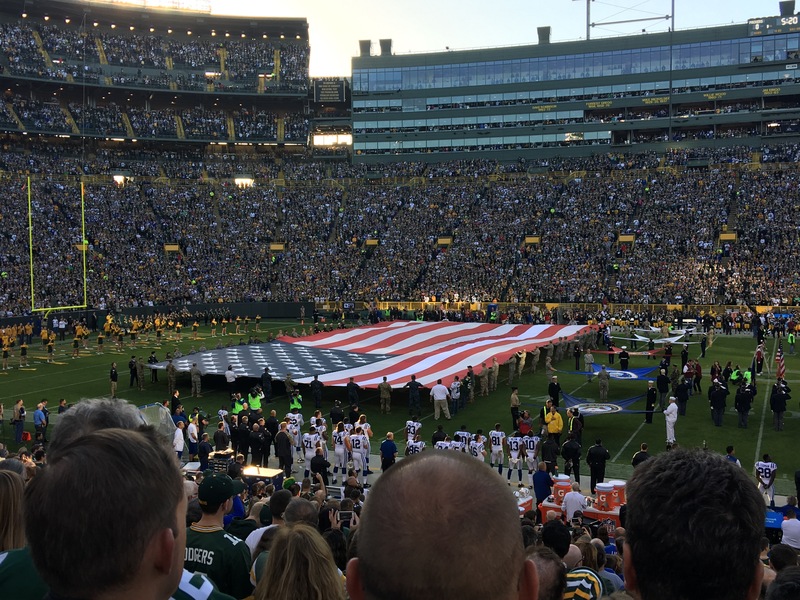 On Nov. 6, my dad, who is a life-long Packers fan, finally got to see his favorite NFL team live in action, even if the outcome of the game wasn’t what he had been hoping for. As a Colts fan, I headed into the game expecting the Packers to completely embarrass us. However, the opening kick-off drive, where running back Jordan Todman returned a 99-yard kick-off for a touchdown, changed my mind. 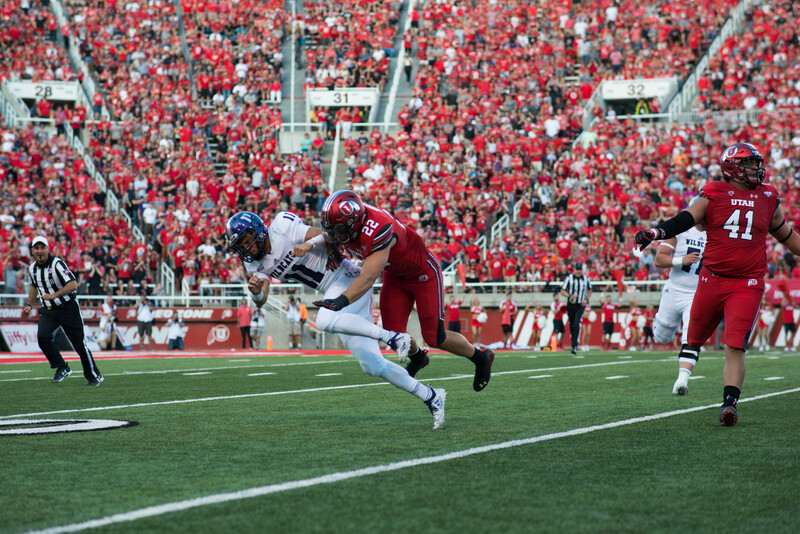 Todman’s run put the Colts up 7-0 in the first seconds of the game. In honor of the annual Salute to Service game, the NFL honored many veterans throughout the night, including taking part in a fundraiser that has raised over $500,000 for U.S. service members, veterans and their families. The NFL honors veterans at the pregame national anthem ceremony during the annual Salute to Service game. The Colts beat the Packers 31-26, earning their first win in Lambeau Field since 1988. The highlight of the game was not my team beating my dad’s team but getting to experience such a culture-rich weekend with someone who means so much to me. 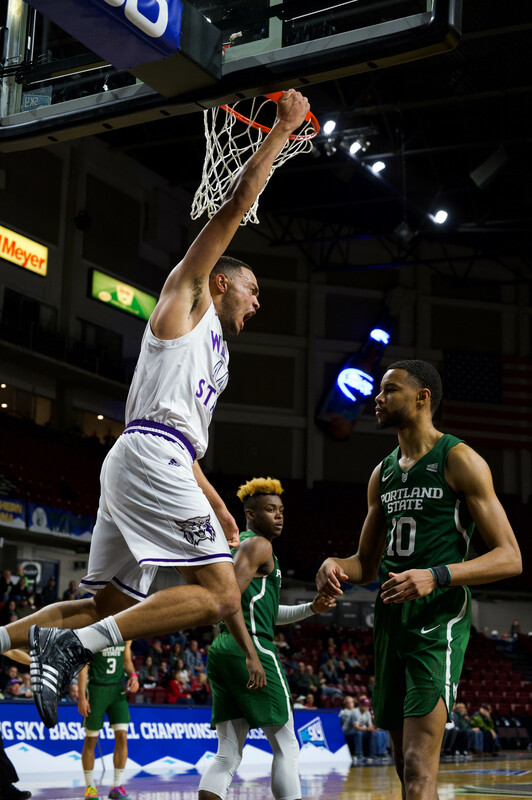 And, of course, another highlight was the appearance of the squirrel, “who got into the end zone more than the Packers,” as CBS commentators Jim Nantz and Phil Simms said. The Colts left victorious and, as a Colts fan, so did I. Although he was sad because the Packers didn’t get the win, my dad still got to experience his life-long childhood dream of visiting Lambeau Field.